Claire Adams is a licensed Acupuncturist and her Mission is to promote wellness and prevent illness by balancing mind and body through the Modalities of Traditional Chinese Medicine. She is qualified to treat many types of ailments and welcomes all patients. She will diagnose each patient as an individual and treat accordingly. She is interested in treating all types of symptoms; chronic and acute. Some of her treatments include those for: Anxiety, PTSD, infertility, Post-stroke symptoms, Digestive disorders, Neuropathy, Neck pain, Lower back pain and Sciatica. She is board certified in acupuncture and Chinese herbs, and has a Diplomate in Oriental Medicine. She has a PhD in Microbiology and a Bachelor in Nutrition. 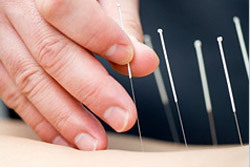 Claire offers the modalities: Acupuncture, Chinese Herbs, Gua Sha, Cupping, Moxabustion, Nutritional Therapy and Tui Na. Claire accepts United Healthcare, Health Net, Cigna and out of network insurance.